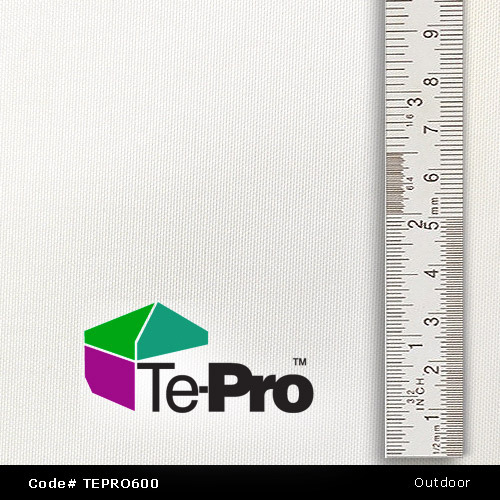 Note: TEPRO600 is exclusive to S B O and is a superior multi-purpose material. TEPRO600 is a strong polyester filament yarn, knitted into tubular fabric form or in cut lengths and is well suited to temporary crowd control barrier rental with a 78% blackout. Finish options are designed for budget and application such as knife edges only or hemmed edges, eyelets and more. FIRE: Not Flame Retardant. 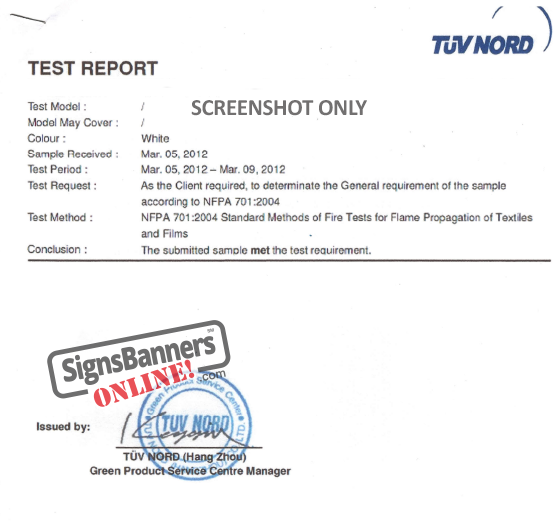 Test Method: DIN4102-1: Name of Product: FLAG FABRIC(suitable test) Conclusion: When tested as specified, the test results of the submitted samples not exceed the requirement of DIN4102. AQUA-PHOBIC Coating: Do not iron. Te-Pro has a special coating that repells water droplets. Do not iron.